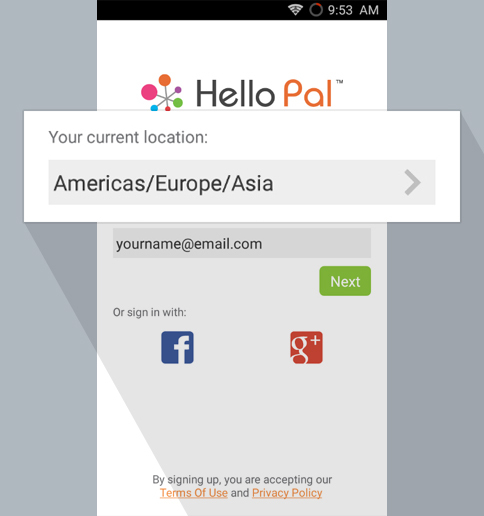 It's easy to sign up for a Hello Pal account. First choose your current location in the registration page. Depending on your location, a list of social media icons will appear below. 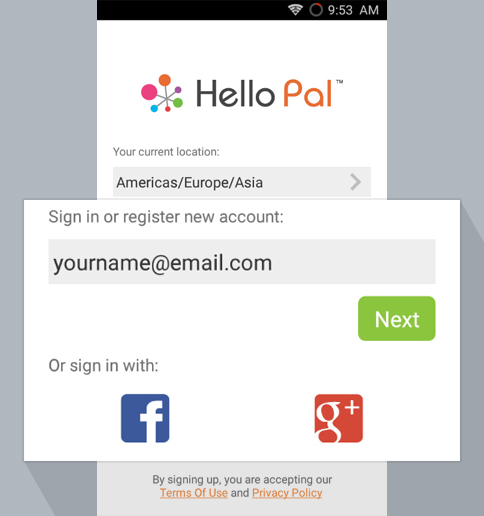 If you have an account with any of the available social networks here, you can sign up by tapping on the icon. Or you can simply enter your email to sign up. Now in the next screen, please fill in the necessary information (this will be useful when searching for people to chat with). 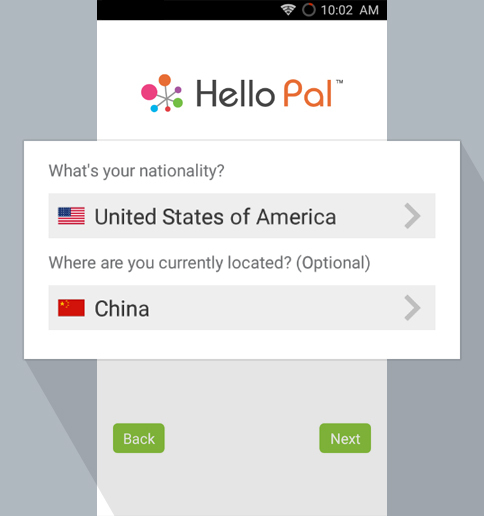 Next, pick your nationality and the country you are residing in. We are almost there! 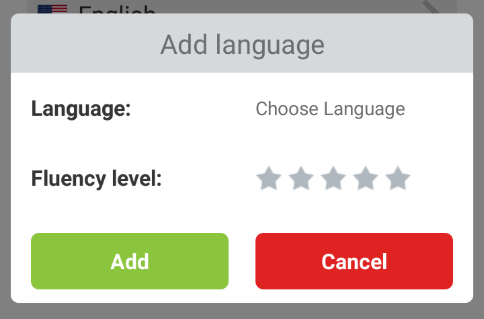 Choose your native language and the language you want to learn. 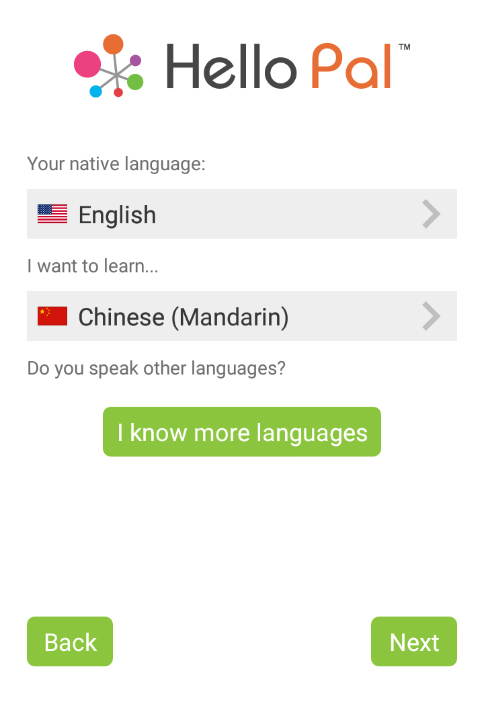 If you are bilingual, you can add more languages below by tapping "I know more languages" and add stars, indicating your fluency. 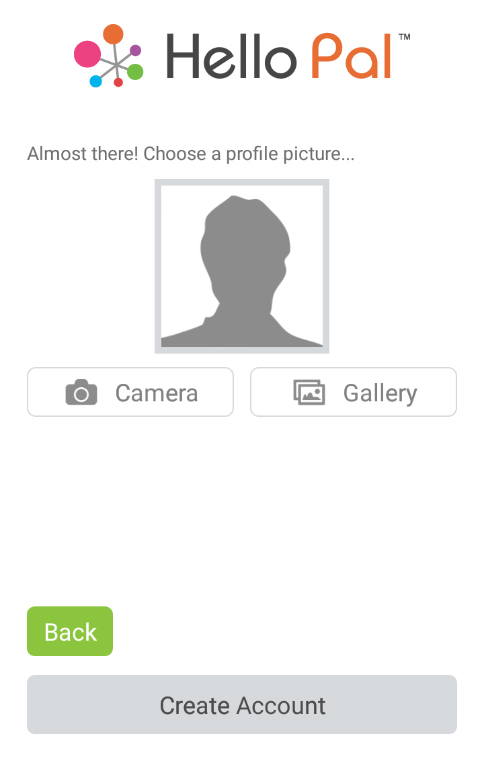 Finally, personalize your account by choosing your profile picture. 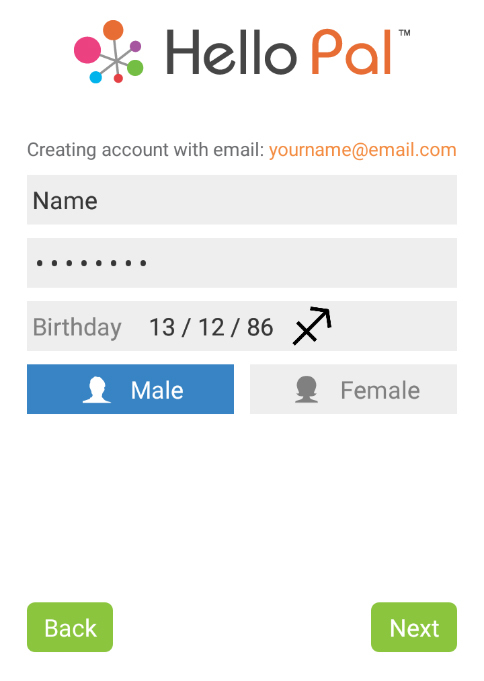 Now tap on "Create Account". Thanks for signing up!